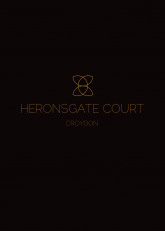 Set within a quiet cul de sac but only a few minutes walk from East Croydon Station and the town centre, Heronsgate Court is a recently constructed development comprising of 6 apartments within a contemporary building. Each apartment is finished to the highest standard with fully tiled bathrooms, hand finished porter gloss kitchens, oak style flooring and luxury wool carpets, and large bi-fold doors leading onto a private balcony or garden terrace. Residents also benefit from the use of a landscaped communal garden and secure bike storage. All of the apartments are available on the Help to Buy government backed scheme which means you only need 5% deposit subject to meeting their criteria. Last remaining unit now available for immediate occupation.